Industry observers have predicted more moves by Big Alcohol into the Canadian marijuana market. And that business forecast continues to prove on point with the groundbreaking announcement that North America’s largest wine and spirits distribution company signed an agreement to become the exclusive product distributor for one of Canada’s largest licensed cannabis producers. Under the agreement, Great North Distributors, a wholly owned Canadian subsidiary of U.S.-based Southern Glazer’s Wine & Spirits, will serve as exclusive manufacturer’s representative for Aphria’s adult-use cannabis products in Canada. Aphria is based in Leamington, Ontario. 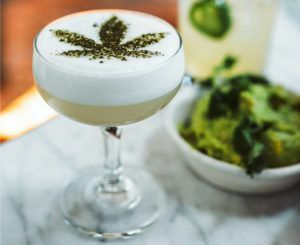 The distribution deal is the first of its kind in Canada’s marijuana industry and is likely to be followed by additional inroads involving Big Alcohol. Last October’s announcement that New York-based Constellation Brands agreed to acquire a 9.9% stake in Smith Falls, Ontario-based Canopy Growth. April’s announcement that Lifford Wine and Spirits, a major supplier of wine to the Liquor Control Board of Ontario, created Lifford Cannabis Solutions to help licensed producers market and sell their products. John Kaden, managing partner of Navy Capital, a New York firm investing in international cannabis companies, believes Southern Glazer’s may not be Aphria’s last alcohol partnership. The Southern Glazer’s deal follows Aphria’s recent hiring of Jakob Ripshtein as chief commercial officer. He’s a 10-year executive veteran of Diageo North America, the subsidiary of London-based alcoholic beverages conglomerate, Diageo. Kaden cited the Ripshtein hire as evidence of the company’s ongoing courtship of Big Alcohol, and specifically Diageo. In legal cannabis markets, liquor sales are dipping, and alcohol companies want to offset those losses. So says Paul Pedersen, a former cannabis consultant and now CEO of Nextleaf Solutions, an extraction firm in Vancouver, British Columbia. That means alcohol companies could potentially join with cannabis businesses in an effort to tap some unique forms of expertise. “The biggest thing the alcohol guys are concerned about is can they do the science? They need R&D,” Navy Capital’s Kaden said. And speed is becoming increasingly important. Southern Glazer’s move is perhaps another signal that major mainstream American companies are looking at the Canadian market as a venue to develop their cannabis expertise. Then they could be better prepared if and when the United States removes the federal prohibition governing cannabis. “With the Canadian market being federally legal, it gives bigger companies a chance to test run a strategy, in this case distribution, in a federally legal jurisdiction,” said Nextleaf’s Pedersen. A Southern Glazer’s representative, however, denied the company has any interest in the U.S. cannabis market. Observers also see this partnership as another clear signal that consolidation is inevitable. He expects a small number of licensed producers will work with a small number of big distributors. And that’s why Kaden sees Aphria’s partnership with Southern Glazer’s as wise. “They’re using one of the world’s largest alcohol distributors as an internal salesforce,” Kaden said. “That saves Aphria from putting together a full-fledged sales team because they have an experienced alcohol group that’s going to fight for shelf space. Yes, Pot is legal in more areas but I believe it will corrupt many companies including those in the alcohol business. The second very serious issue is governments of all levels will become hugely depend upon the pot revenues. Long term will be awful! Run for the hills Bill !! !…The evil marijuana conglomerate is going to corrupt the squeaky clean alcohol and government leaders…..LOL….LOL…. Why did Canopy Growth stock (CGC) fall so much after joining the NYSE? Just like the beer companies in america bud miller yeungling coors you will have canopy aphria and aurora these will make all the money and the others will pick up the bread crums. Money talks and everything else walks.